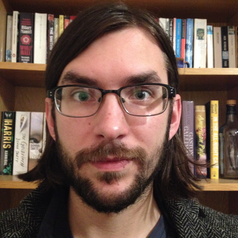 Will Turner teaches American literature and cultural studies. His research interests include 20th century African American literature and popular culture, with a particular focus on urban crime narratives and the racial / market politics of cultural production. He is the co-editor of Rapper, Writer, Pop-Cultural Player: Ice-T and the Politics of Black Cultural Production (with Josephine Metcalf, 2014), has published articles on African American crime fiction, and is working on a forthcoming monograph on the crime fiction of Chester Himes.